Did you know that research suggests that babies who spend time on their tummies crawl earlier than babies who don’t? Find out why tummy time is so important for your baby and get tips on how to encourage it! Tummy time will help your baby develop the neck, back, and shoulder muscles needed to accomplish most of his physical milestones, like lifting his head, crawling, and pulling himself up to stand. While your baby is on his belly, he’ll have to work on some muscle strength because he’ll have to push up, turn his neck, and move around a bit to explore his surroundings. Tummy time helps prevent early motor delays and conditions such as flat head syndrome and twisted neck. The American Academy of Pediatrics recommends placing babies on their backs to sleep and on their tummies to play! When should your baby start tummy time? Start implementing tummy time soon after birth, you can even include it as part of your baby’s daily routine. Start by laying your newborn on his tummy across your lap two or three times a day for a few minutes. Not all babies like being in this position, but it is important that your child spends some time on his belly, even if it’s for less than a minute. As your baby gets used to tummy time, place him on his stomach more frequently or for longer periods. Over time he will be able to stay on his belly for 10 to 15 minutes. As your baby grows stronger, place him on a blanket on the floor after a diaper change or nap. You can place a few toys within his reach, so he has something to play with or even a plastic mirror to look at. It’s important to never leave your baby unattended during tummy time. If your baby becomes fussy, change the activity and after a while try again. Your baby doesn’t enjoy tummy time? Try out these tips! Before putting him on this position, make sure your baby’s diaper is clean and he is not hungry or sleepy. We want him to be as comfortable as possible. It is also good to wait a while after eating; tummy time may be a little bit uncomfortable for him on a full stomach. Join him and lay down beside him. It is important that he feels accompanied -make some funny faces, talk to him, or even sing his favorite song! Place a plastic mirror on the floor during tummy time. He will be able to see his reflection as he looks down. Usually babies are very entertained with their own reflection, so he will love it! You can always try different positions! Try placing a pillow under his chest, laying him over a breastfeeding donut, putting his arms in front of him, or his arms up to his chest. Try different positions until you find the one where he is most comfortable. 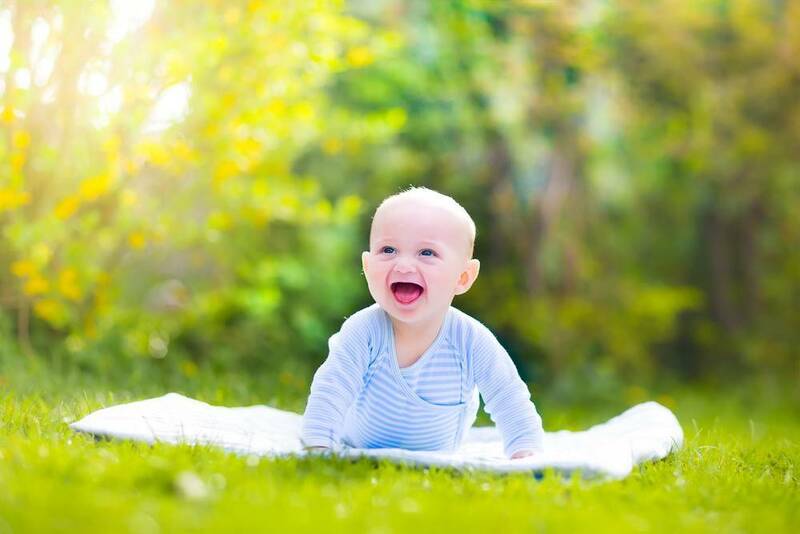 Remember that the more time your baby spends on his tummy, the earlier he might begin to roll over, crawl on his stomach, crawl on all fours, and sit without support; leading to greater exploration of his surroundings and healthy brain development! Before tummy time, make sure your baby’s diaper is clean and his is not hungry or sleepy. We want him to be the most comfortable as possible. What is object permanence and what makes it a key milestone? We need more inihsgts like this in this thread.